My father died yesterday. I still can’t believe it. This was my father, after all. Or at least, he was the one man who was man enough to accept the position. He was my number one fan, having read every one of my published works, and always encouraging me to do more. He understood my anger, a very deep and restless thing, that can be surprisingly monstrous when it reveals itself to those that do not know me well. Always shaping me, always honing me, preparing me for the time he knew he could not be there. He was generous with his time, his love and what few possessions he had. He was a nomad, having more addresses while I was growing up than I could count. But no matter where he was, on my birthday, there came the card with a check for $5 or $10 or $35 as I got older. I’m rambling. I’m still in shock. Maybe for now, it’s enough that the world know that it’s lost a bright light of a soul. Though perhaps you did not know him, maybe you would mourn with me for just a little while. Then maybe life can go on. Hello, all! I’m pleased to announce that if you live, work or play in the Encinitas, CA area, you can now find The Left Hand of Light at SoulScape, a fantastic store filled with books, music, inspiring art, posters and gifts for you and the spiritually-minded people in your life. Head over to this loving sanctuary and get your copy and buy a few candles and some sage too to prepare for spring cleaning! Join Christopher Vera along with friends and fans to celebrate the official launch The Left Hand of Light and explore new universes at an intimate gathering in San Diego that will include readings of the book by the author and fans, a book trivia raffle, a silent auction, an open mic for poets, writers, singers and other entertainers, a live painting demonstration by the talented Adelaide Marcus, and some light food. Come get your copy signed! COST: Free, though donations to Expressive Arts or to help pay for the cost of event are welcome and appreciated. WHAT TO BRING: Your positive and loving energy, your copy of The Left Hand of Light if you’d like to read or have it signed, anything you’d like to read or play at open mic, and some money for the silent auction or to have dinner around the neighborhood after the event. Its gonna be a great time in the astral plane! RSVP on Facebook on Christopher Vera’s author page or just come on out and say hello. I had the pleasure and honor of joining Tish McAllise Sjoberg’s “So You Wanna Write a Book” workshop over at Expressive Arts in San Diego tonight to talk about The Left Hand of Light and the process I went through to take it from a concept to a finished product. My first thought upon meeting the wonderful people that make up this circle of blossoming writers and hearing their hopes and fears about the act of writing is that so many of us struggle with the same basic concern: How does one take a blank canvas of infinite possibility and turn it into a story that conveys exactly what we are trying to say? Is it finding time and discipline to make it happen? It it about rituals or just grinding through it by locking yourself away in an empty room? I suppose no one answer would suffice for all writers. I’m not even sure I have a worthy answer. But here’s what I did and it worked for me. Just spill the ugly draft. What do I mean, spill it? I mean to just get it out. No editing. No revising. No JUDGING. I don’t care if every sentence you write is a total cliche and neither should you. Or if every sentence is laughable with poor grammar and terrible metaphors. Just spill it out onto the page. Get it out as quickly as you possibly can! Because a book is like a baby. Nothing you could write, no matter how grotesque, will compare to the euphoric feeling you will have by holding that ugly draft in your hand like it was your child and realizing that you just wrote a book. A bad book probably. An unreadable book, even. Other people may glare at your ugly child and shake their heads, but I promise to you it will be a thing of beauty. It will be done and it will be yours and no one or nothing can ever take that away from you. But where do you start? Stories begin at the beginning, but that doesn’t mean they have to be written that way. 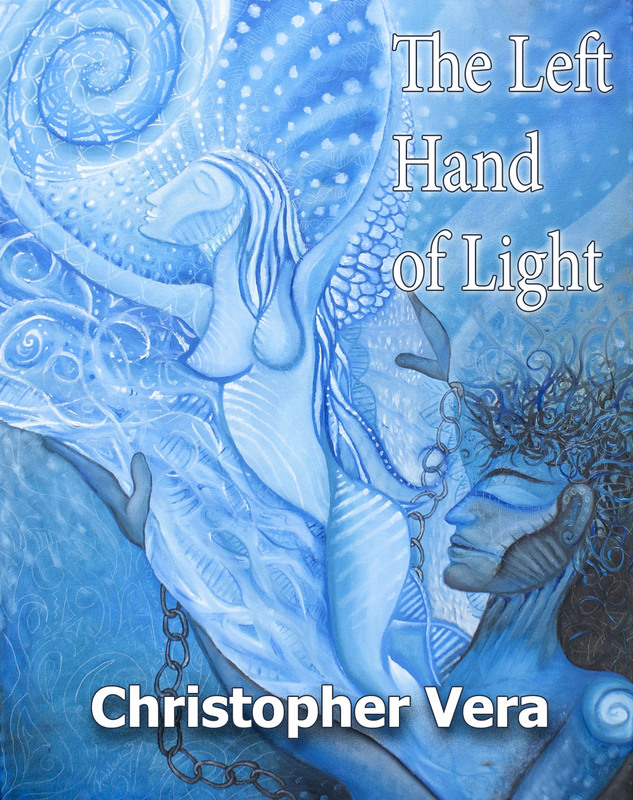 The Left Hand of Light was just a short story concept until I realized I’d been holding back to write the climax scene. The one that I lived for and made me cry. But it was taking forever together there. I had no idea how I would get there because I had no idea where I was going. So what did I do? I wrote the ending first. I spilled all my passion, all my pain, all my rage and glory right there because that’s really why we’re writing isn’t it? It was a revelation for me that just because I read a story a certain way didn’t mean I had to write it the same way! Once I knew the ending, it was much easier (not easy, just easier!) to try to figure out and write all the things that led up to that climax. What happened before? What happened after? became my two favorite questions. Once your ugly draft is born, that’s when the real work begins: Turning the ugly baby into a productive member of society. Now you can start editing, and revising, poking. Let the editor in you come out now to judge and remove the bad grammar and horrible cliches. Because you’re editing your book! You may discover that the climax you wrote in the beginning doesn’t quite work anymore. That’s totally okay! CHANGE IT! You have that power. It was just a starting place, like a destination on a map. You thought you wanted to go to Las Vegas and you set out on the road to get there, but after you began the journey, you realized the Grand Canyon was really what you wanted to see. Cool. So go there. But until you spill the ugly draft, you’ll never ever know. For you writers out there, there’s still time to join the San Diego Public Library‘s 48th Annual Local Author Exhibit since the deadline was extended to Dec 20. News coverage here. Registration here. Open to San Diego County residents who published a book in 2013. See you THERE! Together we make the writing world a better place! Diane Severson, an amazing writer and singer in her own right, took some time to review Transmissions to the Mystic Nebula in Amazing Stories Magazine. As an added bonus, she recorded herself reading a few of the poems and you can hear the richness of her tone in every word. Highly recommended. Thanks, Diane! Please never stop sharing your creativity! And thanks to Amazing Stories doing your part to keep speculative poetry alive. Tell your friends. Tell your loved ones. Tell your enemies. Use e-mail, Facebook, Twitter, smoke signals. Write your congressman. Have a conversation. Please help me get the word out. Give them this link: https://chrisvera.com/lefthand. Buy a copy. Better yet, buy more than one. They make great and inexpensive gifts for the readers in your life. Winter, er…the holidays are coming. Tell the world how you feel about it. Whether you loved it or hated it, leaving a review of the book on Amazon, Goodreads, and other places where books are discussed really helps a LOT to draw attention to it. Review it! A sincere thank you to everyone who made this book possible: To my editor, Larry Edwards. To Kathleen Robertson and my mom, Billie English, for their careful proof-reading and fantastic ideas on how to make the story even better. And to everyone else who offered me encouragement along the way. There is so much more where this came from. Enjoy! 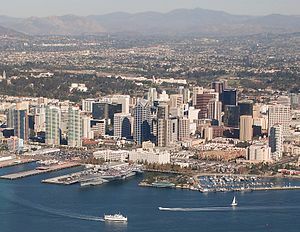 I have the honor tomorrow of presenting to the San Diego chapter of the Association of Contingency Planners on the topic of social media entitled “The Role of Social Networking in Critical Sector Incident Response & Resiliency”! Catchy title, right? Woo hoo! The Association accepts non-members for a nominal fee so if you’re interested in attending, check out their website. Lately, I really have been blessed with the attention I’ve been getting as an independent author. Here’s a link to a fun little interview by Paul Dorset (real name John Cox) did with me. Paul writes for his blog, “Utterences of an Overcrowded Mind,” and is a widely published indie author in his own right! Indie authors support each other! Thank you very much, Paul for the opportunity to share my thoughts on writing with your readers.